All beading/wire class instruction is FREE with the purchase of materials. If you have all of your materials from home then classes are $15/person. You will need to pick out your materials upon registration so be sure to leave time. Once registered you will receive 20% off that day and the day of the class.Â Sweet! To register please visit us at the shop! Have questions? Give us a call at 406-543-0018. 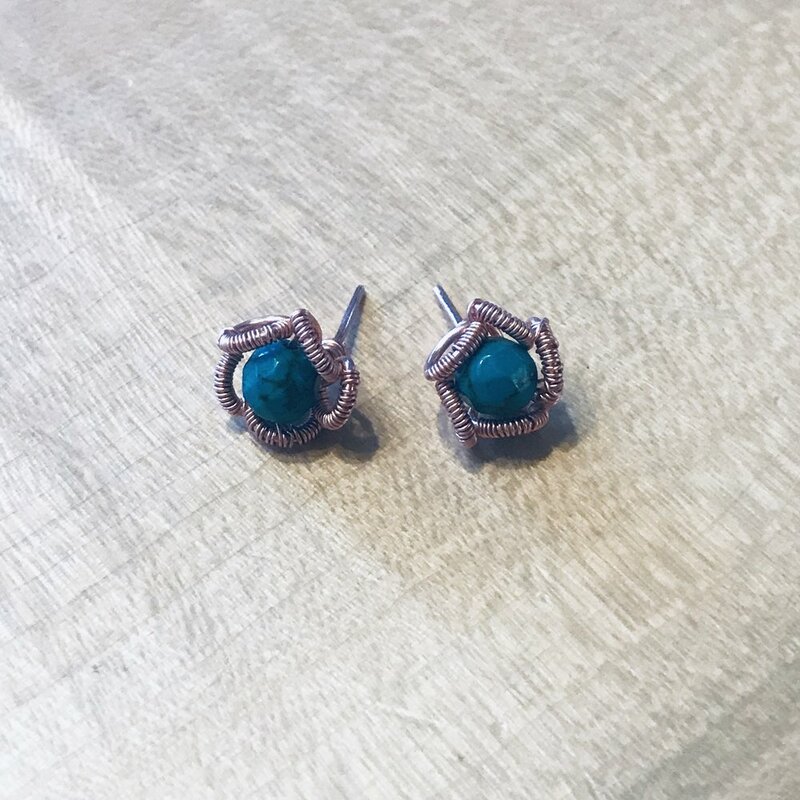 In this fun, new, two-hour class, create a pair of stud earrings perfect for springtime. We will use and expand upon wire-wrapping skills; including making a cage for our bead, setting the bead, and decorative coiling! Patience will be a useful tool in this class. Please note we require a credit card on file to register for classes when registering over the phone. Your card will not be charged unless you are no show then you will be charged a $15 non-refundable fee. All cancellations must be made 24 hours in advance. Thank you.